How do you welcome the holiday season each year? For us at Fairview Inn, we get into the spirit by attending one of the many Christmas events in Jackson, MS. These joyous celebrations showcase savory cuisine, unique displays, and spread holiday cheer to all. Enjoy what this special time brings when you visit the Deep South this winter! Once you’ve experienced one of the many Christmas events in Jackson, MS, spend some time enjoying the cooler weather. Discover seasonal festivals, annual happenings, and the best places to immerse yourself in our local culture by requesting a copy of our complimentary Vacation Guide! Our travel planner outlines the best things to do in the Deep South, including area attractions, wonderful restaurants, and outdoor excursions. Our guide also provides you with an excellent survey of the beautifully appointed accommodations and indulgent amenities at Fairview Inn, which are waiting your winter getaway arrival. Christmas remains one of the most wonderful times of year in the capital city of the Magnolia State. 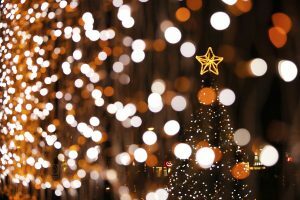 Find out more about which festive Christmas events in Jackson, MS, are worth the visit this year! One of the most popular Christmas events in Jackson, MS, (and the Southeast) is the Singing Christmas Tree at Belhaven University. This outdoor event draws thousands of visitors each year and showcases the talented Belhaven Concert Choir, which features both current students and alumni alike. You’ll hear beloved holiday classics such as “O Holy Night,” “White Christmas,” and the satirical version of “Rudolph the Red-Nosed Reindeer.” From the moment you arrive, you’ll be captivated by the harmonious sounds of the female vocalists! Parades are some of the most integral parts of the Christmas season here in Jackson. Every year, the City of Jackson presents the annual Christmas Parade, which lights its way through downtown. It’s one of the best Christmas events in Jackson, MS, and is free to for everyone. Bring your camera to take photos of the colorful floats and performers welcoming the holiday season! 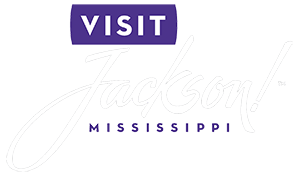 One of the most delightful things to do in Jackson, MS, for couples this holiday season is touring of the historic Mississippi Governor’s Mansion in downtown Jackson. Each December, this architectural masterpiece adorns sparkling ornaments, twinkling lights, and more types of extravagant Christmas decorations. It’s the perfect event to learn more about our history and get into the holiday spirit! Mistletoe Marketplace in Jackson, a four-day celebration, is organized each year by the Junior League and provides each visitor with a taste of Christmas in Jackson! Enjoy a variety of activities, including shopping, silent auctions, and plenty of other fun-filled festivities. We also suggest reserving your spot for the annual Marketplace Jazz Brunch to enjoy soulful music and scrumptious cuisine. You don’t want to miss one of the most delightful Christmas events in Jackson, MS! The “City of Lights” is a part of Christmas in Canton, MS. This month-long, Victorian-style celebration features many holiday happenings. Take a ride on the carousel, in an antique car, or on a horse-drawn carriage through the charming town. As you tour, you’ll be delighted by over 200,000 lights shining throughout the historic Courthouse Square. Many attractions of this festive extravaganza include the displays at the Canton Animation Museum, the railroad museum, and nighttime parade, and decorated log cabin. Enjoy the tinsel-filled celebration of Christmas in Natchez, one of the most popular events in Natchez. This quaint town is a short drive from Jackson, MS, and offers a wonderful array of activities. One of the most popular still remains the annual Natchez, MS, Christmas Parade. You need to take a trip down the Natchez Trace Parkway to enjoy these festivities! Bring your holiday cheer from one of the many Christmas events in Jackson, MS, back with you to your charming accommodation at our boutique hotel! Here at Fairview Inn, we offer the perfect romantic getaway for your winter vacation. Browse our gorgeous selection of stunning guest rooms and reserve the ideal one for you and your partner. If you are searching for the perfect present to surprise your partner, why not purchase a Fairview Inn Gift Certificate! It’s the perfect way to celebrate any holiday or special occasion this year and gives the gift of an experience. We can’t wait to host you this Christmas in Jackson!